I went through a long period of fascination with Antarctica, especially the doomed Scott expedition. I don’t know how much of that was spurred by the 20th Century Vole motion picture and how much might have been just a natural progression from the general cuteness of penguins. In high school, I wanted to mount a production of Terra Nova, but our drama teacher just laughed at me. In the nineties, I filled out an application to join Antarctic Support Associates and become a south pole worker. I recently finished listening to a very entertaining novel called South Pole Station by Ashley Shelby and when it was done I was glad I’d never actually mailed that application. The book gives an insider look at pole life while also offering sharp characters and some interesting discussions of science. I had some visceral reactions (which, for good or ill, I tweeted to the author) and generally found myself eager to return to the audiobook as often as I could. I loved it. 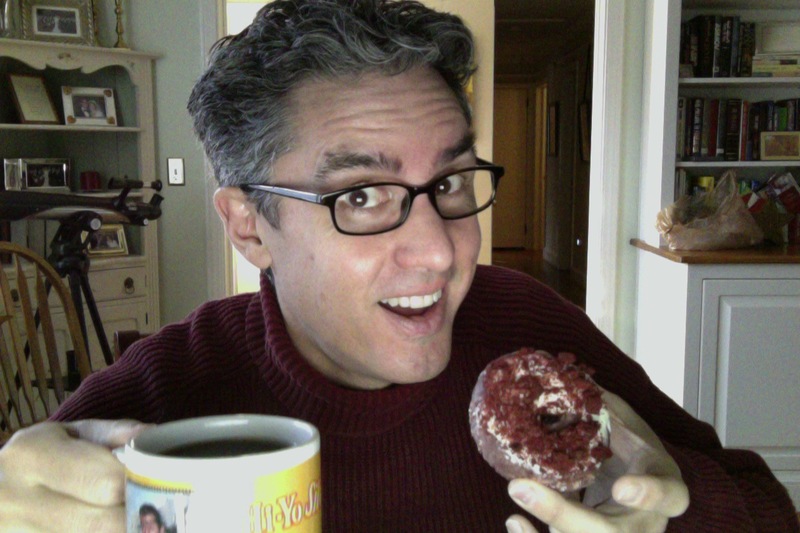 Click on this picture to subscribe to Coffee and a Donut, my irregular newsletter. Writer. Musician. Songwriter. Actor. Ukulele Evangelist. Coffee Achiever.